This adjustable bag offers a snug, custom-style fit for your snare. 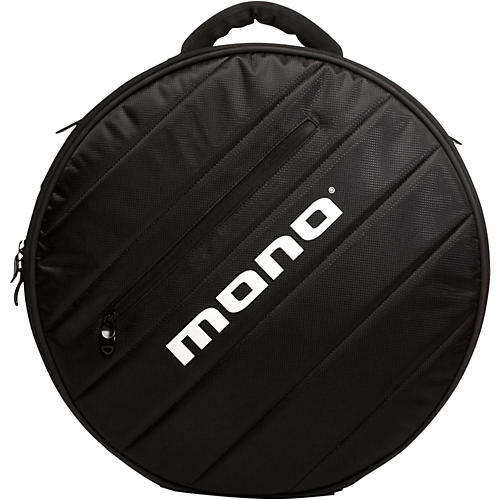 Mono created the M80 Snare Case with this selection process in mind. Inside, the M80 Snare Bag is instantly adjustable to create a custom fit for your weapon of choice. Outside, the steel riveted handle, industrial rubber sole, water-resistant outer shell and neoprene padded shoulder strap make this one rugged carry-on. This bag adjusts to fit most snare drums. Two side spacers and two depth spacers are included to customize the fit for smaller snare drums.